« “Liberating workers to pursue other activities” … say, what? Last week, the CBO reported that 2.5 million people will likely quit their jobs to cash in on ObamaCare subsidies and other government programs. That brought to mind a famous TV philosopher … Maynard G. Krebs. In the late 1950s and early 1960s. there was a popular TV show called “The Many Loves of Dobie Gillis” … it feature a bon vivant girl-chaser (Dobie) and his beatnik friend Maynard G, Krebs (played by Bob Denver who was Gilligan on Gilligan’s Island). Technical note to younger readers: a beatnik was a self-proclaimed member of the “beat generation” – think early day hippies and slackers. Maynard had a philosophy of life that wasn’t exactly work-inclined. In fact, whenever Maynard would hear the word “work” he’s have an immediate reflex action…..
Watch this short clip to see Maynard’s reaction to the word “work”. This entry was posted on February 11, 2014 at 6:59 am and is filed under CBO - ObamaCare estimates, ObamaCare - CBO estimates. You can follow any responses to this entry through the RSS 2.0 feed. You can leave a response, or trackback from your own site. 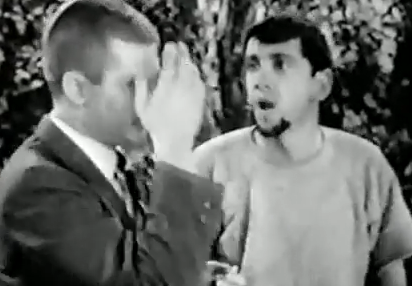 I loved the Dobie Gillis Show, but Maynard’s “Work” is not exactly what I think of when I think of the CBO report. Besides all the media and political parties distortion of the report I think of my friend whose kid has a congenital defect and cannot get health care, until now. Her husband makes enough money to pay for it now that insurance companies are required to offer it. And she can work part time (at a VA hospital by the way) and mostly stay home and take care of the kid rather then leave her in a care situation that has almost killed her child once. I wonder how many of the 2.5 million quit for similar reasons. And I wonder if they will not be immediately replaced by 2.5 million who now have an opportunity. I don’t think there will be any less people working, just different ones. Some part of subsidizing health care is going to also foster economic security and flexibility to those who did not have it prior to now. To just assume all those people who leave or change jobs because they now can are deadbeats who will live off government dole is not correct. Carp – thank you for the story. Very good to hear that the ACA is helping some people. Hard to remember that the system was already broken. That said, there are three issues in your story. Not sure that any of them are influenced by the CBO report on work hours. 2) The CBO report on work hours does not include people who drop out of the workforce to provide care. The model is based upon the likelihood that people working some amount of hours will opt to work fewer hours based upon the availability of healthcare at a lower total number of hours (using Medicaid Plus). In short, some people had to work 40 hours a week to get health insurance, and they will reduce their total hours now because they can get healthcare (and perhaps even cheaper healthcare) working fewer hours. …somebody has to pay for all of this. If we can agree that more people need access to preventative care, and that difficult cases like those of your friend necessitate special circumstances, we have to find a way to pay for it. That means more people working, more productively, in jobs that pay more (and as a result pay more taxes). As it stands, the ACA gives us more expenses and no way to cover them all.